On February 6, 2019, the Hispanic Association of Colleges and Universities was among the participants of a congressional briefing on Minority-Serving Institutions on Capitol Hill. 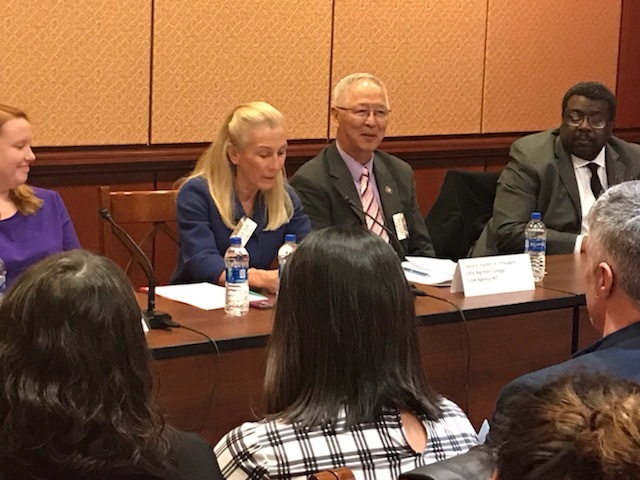 The purpose of the briefing was to highlight the impact of Title III, Part F, HSI-STEM program, and the importance of extending its authority, set to expire on September 30, 2019. HACU Governing Board member and president of New Jersey City University Sue Henderson represented HACU on the panel. Other panelist included two other Title III grantees: a president from a Historically Black College and University and a president from a Tribal College and University. Henderson spoke of the impact of the funds on institutional capacity at NJCU and how it has strengthened STEM pathways for Hispanics and other underrepresented students. NJCU has been the recipient of two Title, III, Part F grants, in 2011 and 2016. 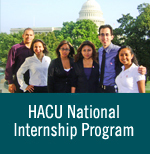 The congressional briefing was hosted by the Alliance for Equity in Higher Education, a partnership that includes HACU, the American Indian Higher Education Consortium, the Asian American & Pacific Islander Association of Colleges and Universities, and the National Association for Equal Opportunity in Higher Education. Collectively, the Alliance represents all Minority-Serving Institutions and more than one-third of the nation’s students of color in higher education. The congressional briefing served to introduce the Alliance to existing and new Members of Congress and their staff. HACU and HSI supporters will convene in Washington D.C, on April 1-2 to discuss Title III, Part F, The Reauthorization of the Higher Education Act and other HACU priorities as part of its 24th Annual National Capitol Forum on Hispanic Higher Education, followed by visits to Capitol Hill. Information available here.